Ronda Rousey is the current Raw Women’s Champion, Olympic medalist, the first female UFC Champion, and the first woman to be inducted into the UFC Hall of Fame. She is also an actress and New York Times bestselling author. Charlotte Flair is a seven-time Champion in WWE, a former Division 1 volleyball player, philanthropist and author. She the daughter of two-time WWE Hall of Famer Ric Flair. Becky Lynch is the 2019 Women's Royal Rumble winner, a two-time SmackDown Women’s Champion and was named Wrestler of the Year by both Sports Illustrated and CBS Sports in 2018. She was also the first woman ever to top ESPN’s WWE Power Rankings. Since that time, the women’s evolution has placed a greater spotlight on WWE’s female performers, including more prominent storylines and deeper character development that showcases their athleticism, charisma and star power. 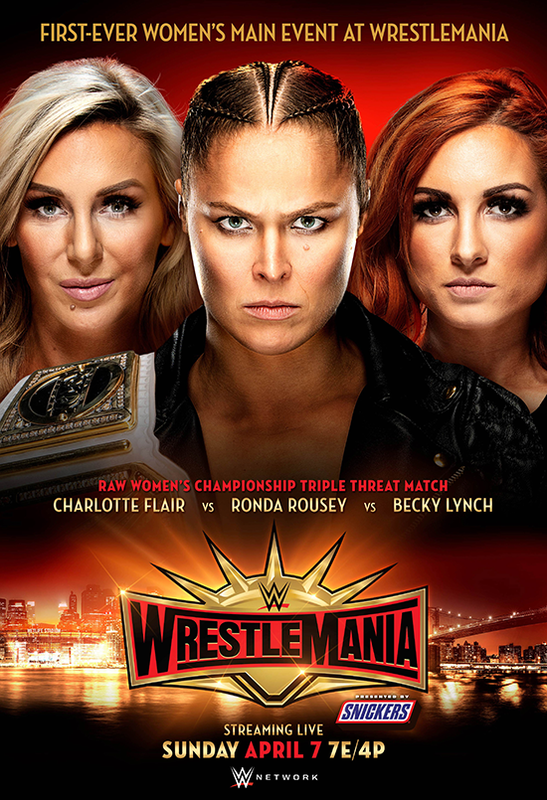 Last October, WWE held it’s first-ever all-women’s pay-per-view event "Evolution," in front of a sold-crowd and millions more watching on WWE Network.